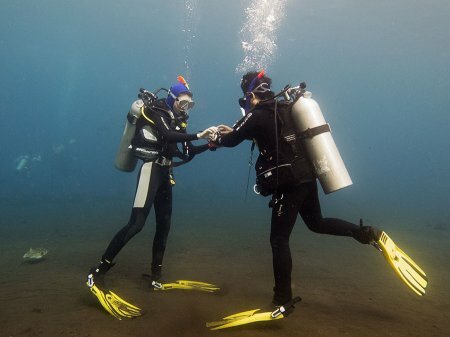 Are you new to diving? We specialize in teaching beginners and we can make your introduction to the underwater world smooth and comfortable. Start your adventure to become a certified PADI Scuba Diver. 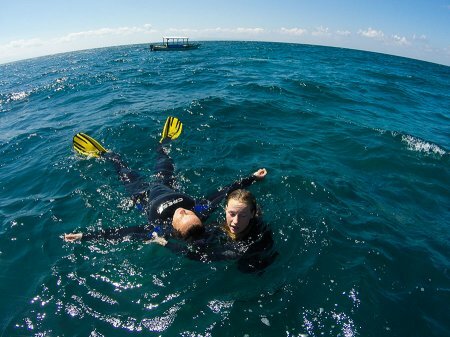 You'll learn how to scuba dive safely to a maximum depth of 12 m; and if you've already done your Intro dive with the Dive Bus, you're already on your way. 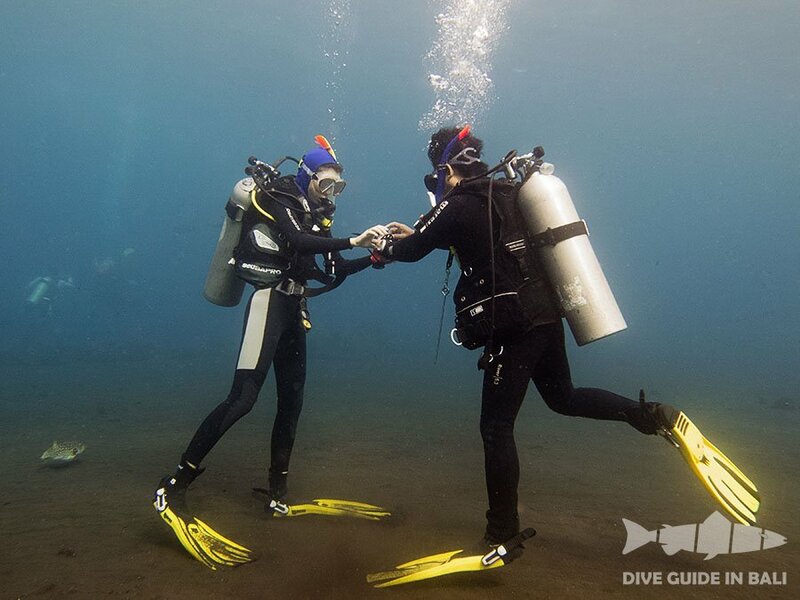 If you want to be certified to dive independently to the depth of 18 m with a certified buddy instead of a diving professional, you can upgrade your certification to PADI Open Water Diver at another time. 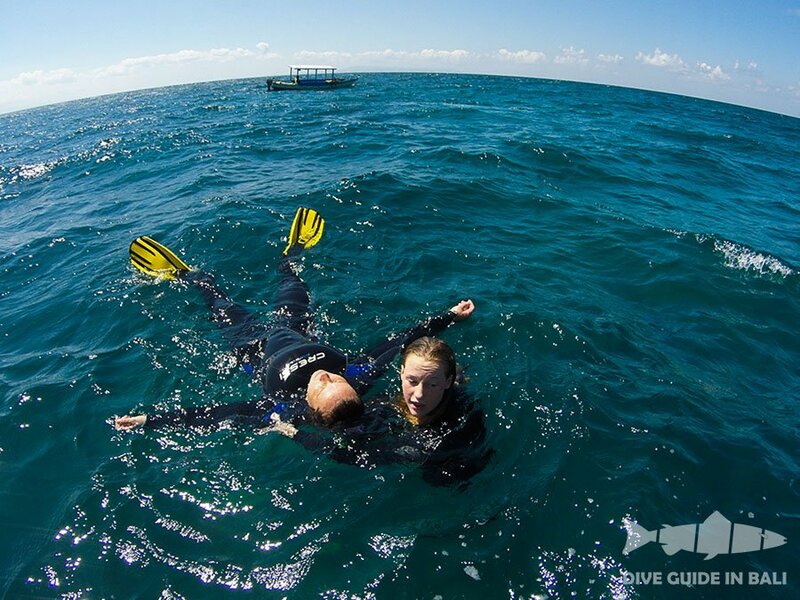 This program includes the basic diving theory and practice and demonstrates the fascination of diving. To enroll in the PADI Open Water Diver course or PADI Junior Open Water Diver course you have to: be at least 10 years old for PADI Junior Open Water Diver course; be at least 15 years old for PADI Open Water Diver course; know how to swim; be in good health. The course will take three days of interesting activities with an instructor: watching video materials, doing practical exercises in the pool, practicing the acquired skills in the open water, taking fascinating examinations and solemn granting of the international certificate. This course includes four training dives in the open water that are needed to complete a certification course that was started elsewhere. 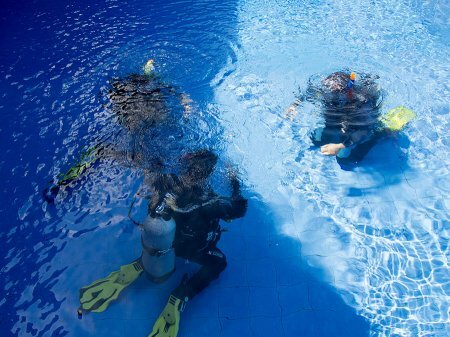 Student divers must have their PADI referral form documenting the completion of all academics as well as completion of confined water training within the last year. 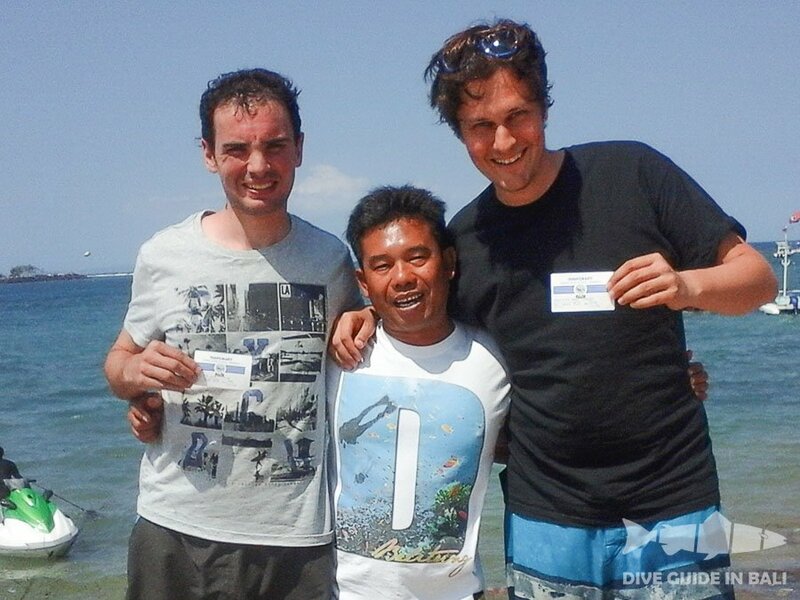 This is the next step in diving after the Open Water Diver course. 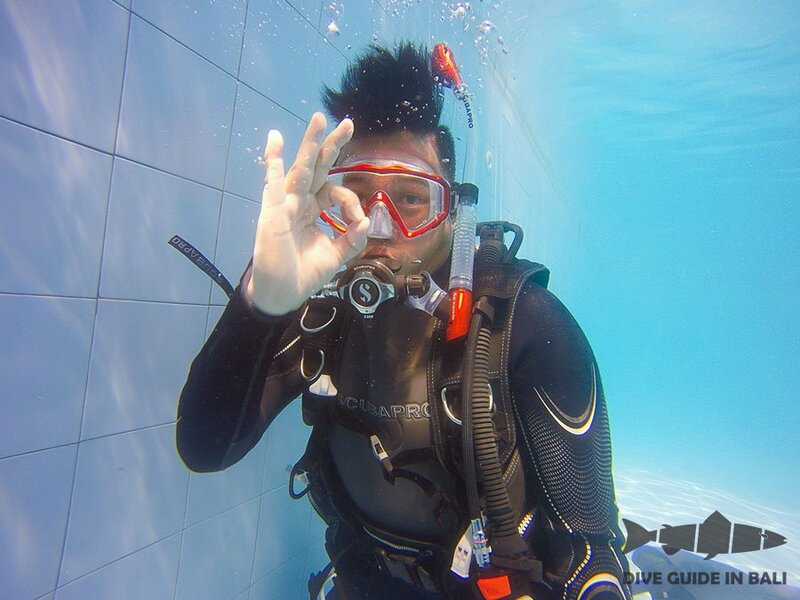 This course will help you to develop your scuba diving skills, gain more confidence, and feel more relaxed underwater. It allows you to acquire more experience while you are still under the guidance and supervision of a qualified PADI Instructor. 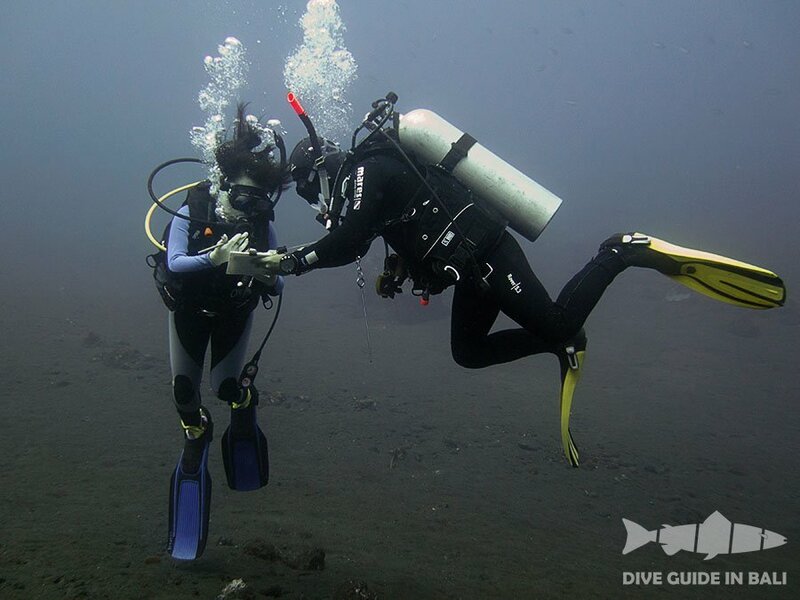 There are two required dives – Navigation dive and Deep dive (18 - 30 m). 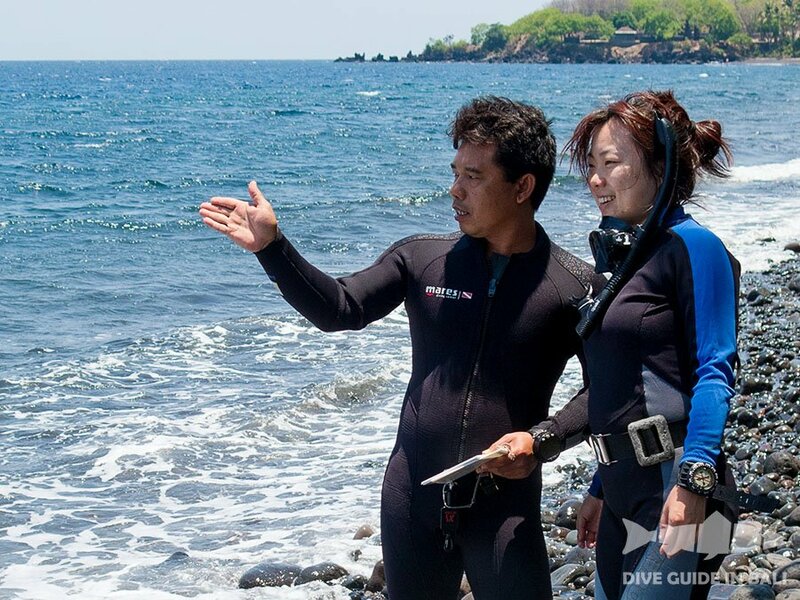 Besides, you choose three additional dives – Wreck, Naturalist, Boat, PPB (Peak Performance Buoyancy), or Night dive. Emergency first response is a non-diving course and it is open to everyone. The EFR course provides internationally recognized, comprehensive First Aid (CPR/Primary Care) and Secondary Care training. In addition it provides essential lifesaving skills that are useful for everyone. EFR courses meet the CPR and first aid training requirements for the PADI Rescue Diver course and all professional-level ratings. This course may take 1 day for you. The certification is valid for 24 months. We also offer refresher programs to already certified EFR providers. PADI (Junior) Advanced Open Water Divers who are at least 12 years old and have completed the Underwater Navigation Adventure Dive may enroll in a Rescue Diver course. You also need to have Emergency First Response Primary and Secondary Care (CPR and First Aid) training within the past 24 months. You can complete this training during the Rescue Diver course.